We were expecting to hear announcements for new hybrid cars at CES 2010, but not hybrid computers. 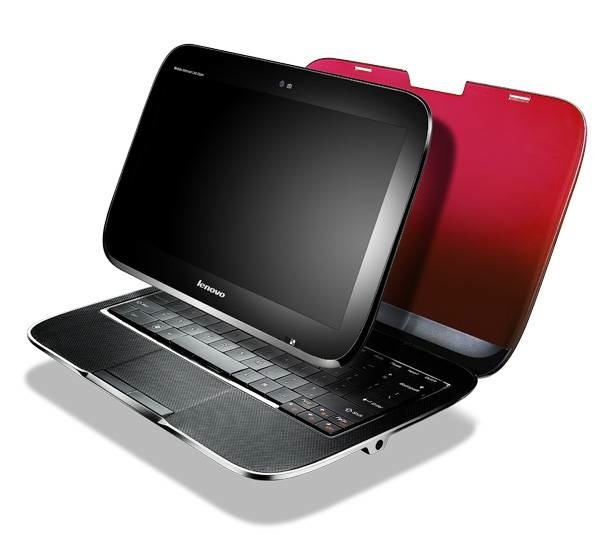 Lenovo today announced its IdeaPad U1 Hybrid in advance of the CES tradeshow. The IdeaPad U1 is—are you ready for this– a slate tablet running on a Qualcomm Snapdragon ARM CPU and the Skylight Linux interface when a user is on the move, and then if you dock it back into the clamshell it seamlessly switches back to a Windows 7 operating system, running on an Intel Core 2 Duo U4100 processor. Lenovo just manifested awesome in a 3.8-pound, 11.6-inch hybrid laptop. It’s kind of like your notebook has an alter-ego. Both the tablet and the laptop share a battery, but the battery life varies with the slate lasting up to 8 hours on a single charge and the docked laptop only 6 hours. Other than the whole dual-device thing it’s got going on, the Lenvov IdeaPad U1 Hybrid has standard laptop features: including three USB ports, built-in Wi-Fi,VGA, HDMI, Ethernet (RJ-45), and a 4-in-1 reader (Multi-Media Card, Memory Stick, Memory Stick PRO, Secure Digital Card). The device will be on display at CES this week and is set to ship in June of this year. Unfortunately, this new hybrid comp will cost you a pretty penny—try $999 of pretty pennies.